Although many people often think that seasonal allergies are only bad in the spring, autumn can be just as bad, or even worse. What makes fall allergies so bad? While trees are a common allergy trigger during the spring and grasses in the summer, weeds trigger fall allergies. And the predominant weed to trigger allergies in the fall is ragweed, which seems to grow everywhere. 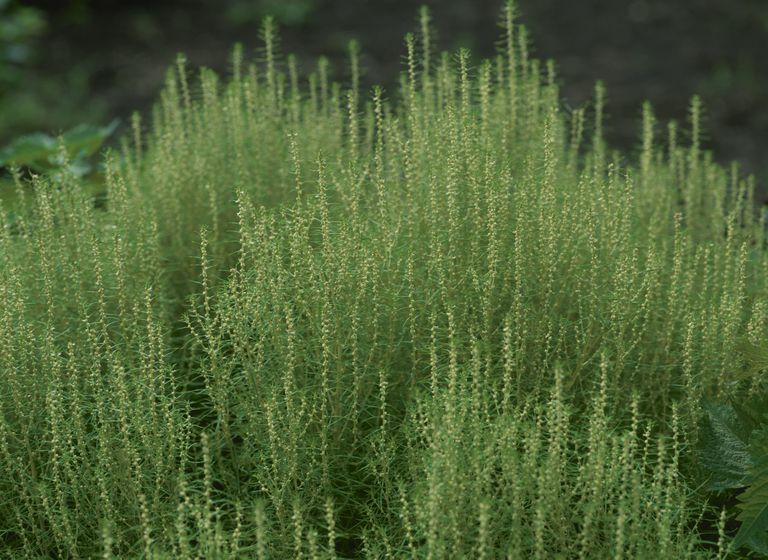 Unlike the weeds that many of us try and control in our lawns, ragweed grows in empty fields, vacant lots, and along roadsides. It is hard to avoid ragweed, even in a big city. That's because ragweed pollen is small and light, so can be carried very far by the wind. Is ragweed triggering your child's fall allergies? It likely is if your child is truly allergic to ragweed. Your local pollen counts can help you figure out what might be triggering your child's allergy during the fall or other times of the year. Mold can also trigger fall allergies, as can some other weeds. So when does ragweed season start? Ragweed season typically starts in mid-August. It continues until the first frost, around mid-October. Unfortunately, ragweed season has been getting longer in recent years. One study found that since 2009, ragweed season has been lingering through late-October and into early-November. One of the biggest problems with fall allergies is that typical allergy symptoms are often confused with having a cold or sinus infection. Unlike an infection, though, people with allergies usually do not have fever or muscle aches. Also, the runny nose from a cold can start out clear, but it then often turns yellow and green. And allergy symptoms usually linger through the whole season, while cold symptoms generally go away in a week or two. Treatment of fall allergies can include taking an antihistamine (like Allegra, Claritin, Clarinex, Xyzal, or Zyrtec, etc.) and/or a nasal steroid (like Flonase, Nasonex, Nasacort, Rhinocort, or Veramyst, etc.) or a non-steroid, antihistamine nasal spray (Patanase). It can also help to avoid mold and ragweed pollen by monitoring your local pollen counts and staying indoors as much as possible on days when pollen counts are high. Also, avoid going outdoors in the early morning, when pollens are being released into the air. And keep windows at home and in the car shut to decrease your child's exposure to things that might trigger his allergies.